Editors from The State News at Michigan State University just wanted to take a break, so they went to a local spot to play trivia. Every TV in the place was showing coverage of Larry Nassar’s crimes. It seems they still can’t escape the coverage, which catapulted them to celebrity-like status in student media circles. 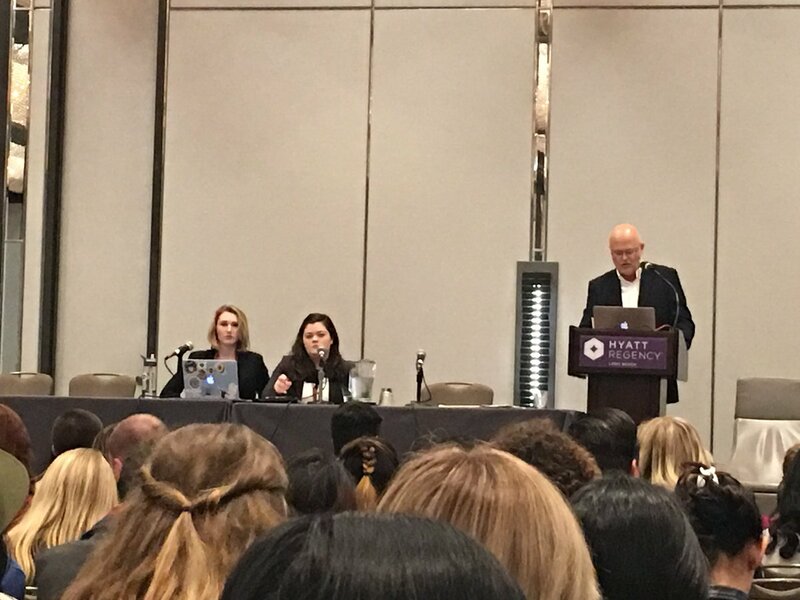 Editor-in-Chief Rachel Fradette and Managing Editor McKenna Ross recently spoke at the Associated Collegiate Press Midwinter National College Journalism Convention in Long Beach. I had never met either woman before, but had communicated via email and Twitter with Rachel, who was a guest on #EditorTherapy, a Twitter chat I host for student journalists. It was so good to meet her, hug her and praise her work. 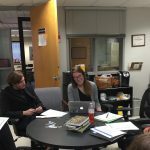 Student journalists fromThe State News began covering the Nassar scandal and related fallout on their campus in 2016. They’re still covering it today. Rachel said it’s become part of their college story, something national media picked up on quickly, seeing them more as students than journalists and asking how they felt about the coverage. “I’m a journalist! Don’t ask me how I feel,” Rachel said to the crowd during the women’s keynote session. She said she wanted to respond “I wasn’t abused for 20-something years,” but she understood what the journalists were trying to get at. When it came to speaking on behalf of Nassar’s victims, McKenna said they let the victims do that for themselves. She said, as you likely saw, that some of the victims were willing to talk and became sort of spokespeople for the issue and the #MeToo movement. Others were not interested in talking to press, even wanting to stay private after appearing in court. McKenna said none of the journalists violated this wish. When it comes to reporting on a big story like this while you’re in college, McKenna said organization and focus are key. “Make sure you can make multiple stories out of the big topic,” she said. Rachel said it’s important to ask questions and pay attention to what’s happening on your campus.